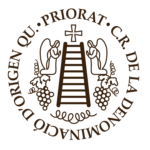 La Serra Major del Montsant • Descubre las bodegas que te rodean. 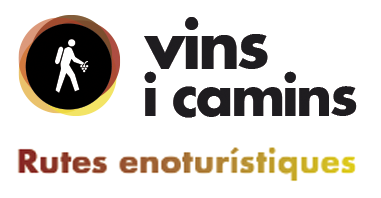 Enoturismo y catas. 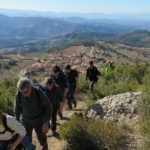 We begin walking from the highest point of the town of La Morera de Montsant (743 m), following the markings of GR-171 northwards. 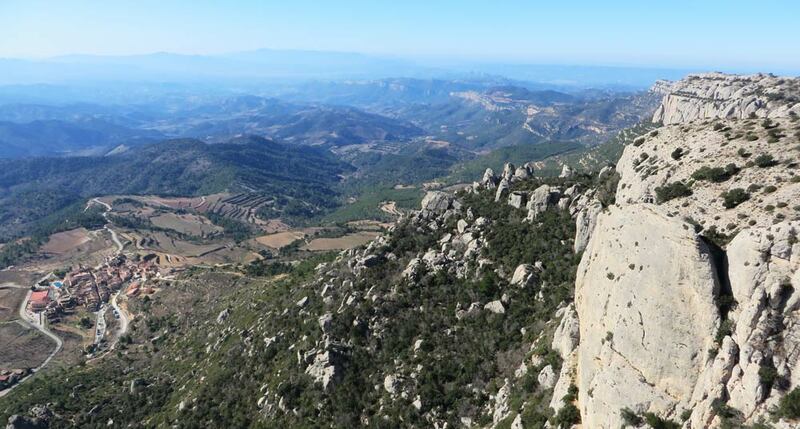 After just a few metres, the trail that heads towards the Serra Major veers off to the right, this track follows the dels Fareus pathway, up the Grau del Carrasclet and the Grau de Barrots; these last two are equipped with pins and bolts to help climbers progress. We move on, following the red and white markings of GR-171, along a more comfortable route. After a short time, we pass another fork in the road, the detour to our left heads towards the Grau de la Grallera. We keep going until we get to an area where it will be necessary to use our hands to make further progress. The route becomes far more difficult. 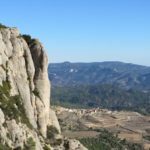 We have reached the Grau de l’Agnet, which will serve as our natural mountain pass for making our way over the heights of this area. Having overcome the last of the mountain passes, we notice that the wind has picked up and we decide that we need to find a place where we can take shelter and have our breakfast. We do so at the bottom of a small valley. We get moving again and follow the GR-171 markings until we get to the Serra Major (1132 m); we then head towards Cabacés (west). We continue to experience the strong winds that are common in this area. 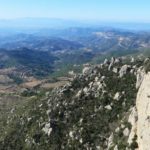 Looking to the North, we enjoy splendid views of the whole Pyrenees covered in snow, stretching from Navarra to Girona. 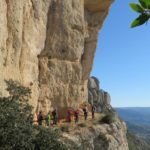 We reach the Piló de Senyalets, an enormous geodesic point and soon afterwards we make it to the twisted pino del Cugat (pine tree). 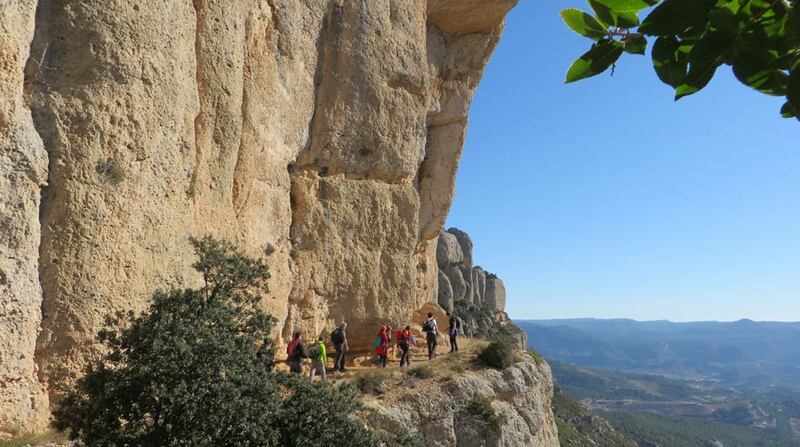 Here we veer off the main path and descend towards Comellar de l’Obac dels Frares. 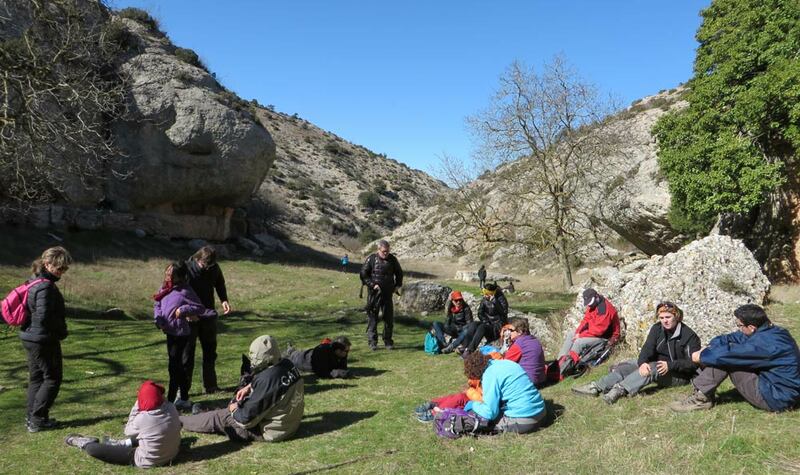 We go over one final pass before we enter the fantastic Clot del Cirer, a place of spectacular beauty and tranquillity. It has a mountain spring. This is where we calmly enjoy our lunch. In the past, there was a cherry tree in the middle of the Clot (hole), when it died another type of tree was planted in its place. After a short nap, we exit through the lower part of the Clot and begin a steep, steady ascent. 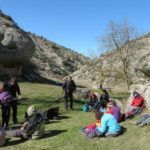 We have to make our way back to the Serra Major; once we get there, we cross over the main route and start our descent down the barranco del Miró ravine. 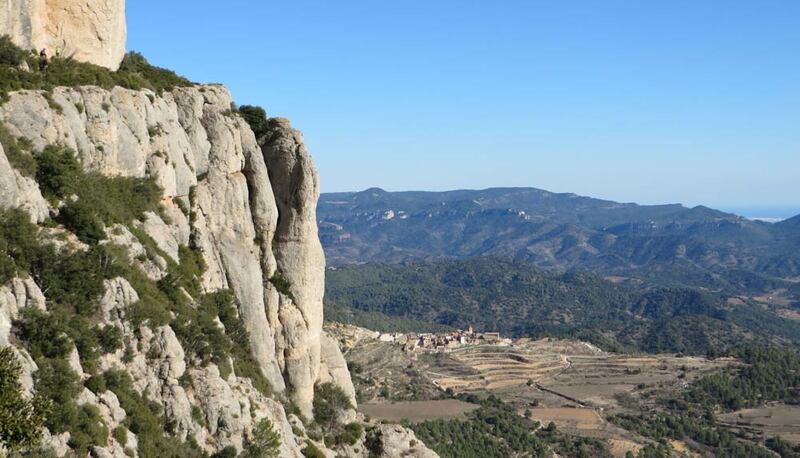 We arrive in the breathtaking area of the Racó de Misa and we then begin to descend down the Grau de Salfores. At times, we need to use our hands to make our way down and we must watch out for the many loose pebbles and boulders in the path, as it is very easy to slip. 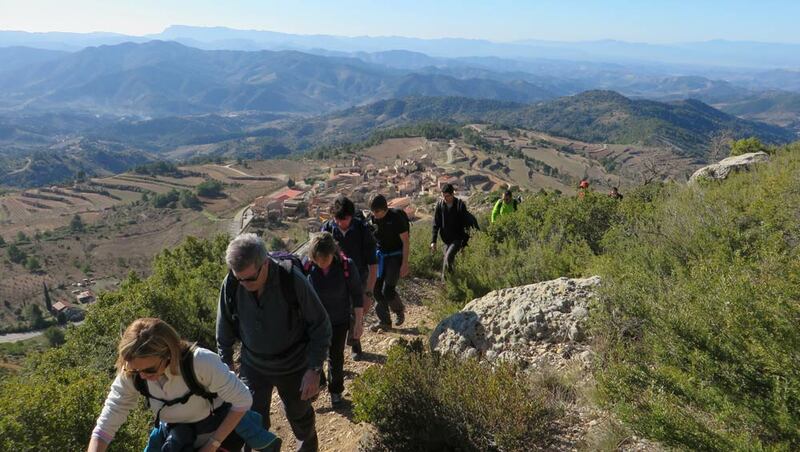 In the distance we can see our final destination, the town of La Morera, which we reach by hiking along a comfortable trail. 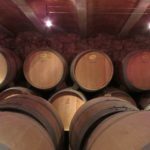 Right at the entrance to the town, we come across the Pasanau winery, which is part of the Priorat denomination of origin area (DOC). 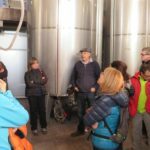 We visit this facility in the company of Ricard Pasanau, who introduces us to wines that have acquired the character of this rugged and unique area. 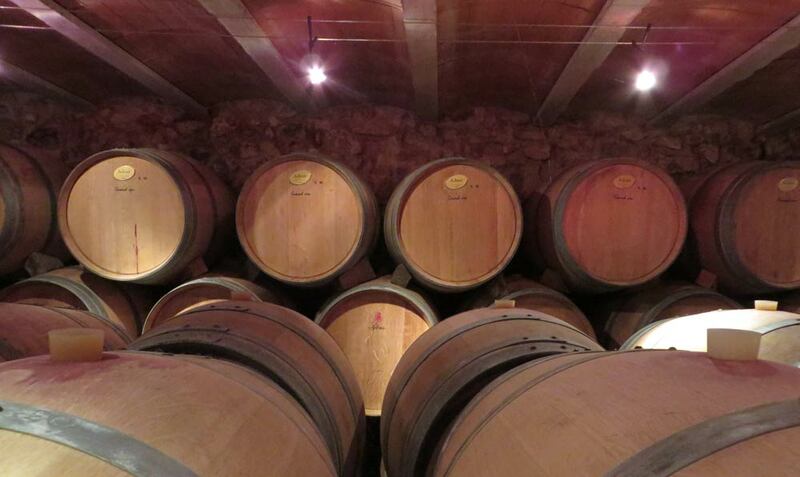 We stay at the Hotel Balcó del Priorat. 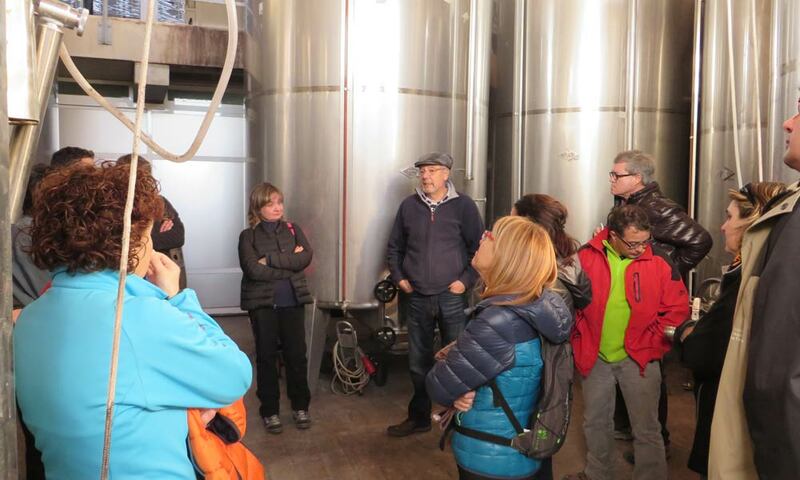 The following morning we depart the town to continue our route to the monastery of La Cartuja de Scala Dei. ( >> See route to Scala Dei).